An extremely strong single live catch cage trap with bait hook release and dead fall galvanised door. 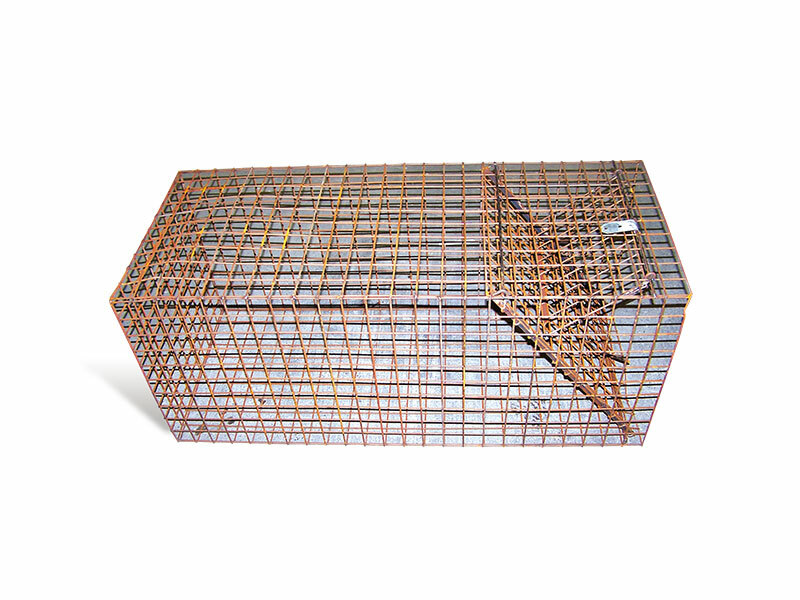 The cage is constructed from heavy duty square galvanised weld mesh. Dimensions: 1200 mm x 500 mm x 550 mm. Rigid versions are available on request, additional carriage and lead times apply.